In today's fast paced world it is no wonder if you forget your smartphone somewhere. Nowadays smartphone is a key device in our life. It contains personal information, memories, contacts and lot more with entertainment and other data. What if you lose your smartphone? One option to stay at the safer side is to have a complete backup of your phone. Tracking smartphone to get it back could be quite difficult to discuss, but still, there are ways available. You may be slightly lucky and quick to get your android device back with following tips. Every phone has its own unique IMEI number which is permanent. Once you file a complaint of lost, it can be traced using this number. Even if a device is switched off or replaced with other SIM this number remains intact and traceable. After a device is traced you can request service people to lock the device from usage. It would be difficult to expect to get such blocked phone back in a matter of time. Rather an idea may work well for few of us. Lookout Mobile Security provides a free app for tracking android device. This app works great and available in Google Play store. Just log in to your Google Play account and get a free app called "Plan B". To track the phone with this app, internet connectivity is required. Whenever you don't see your phone around or you remember missing it somewhere just send a word "locate" without quotes through SMS and a map will be displayed with your device location. This app is worth rather using IMEI number. Once you know the location of your device you can find it immediately. Again an amazing real life app. This app is much famous and has millions of android users. Install the app and activate the option "Missing Device". Keep this option ON by default. In case you miss the device somewhere you can track its location. App also has an option called "Signal Flare" - This would give you the last known location of your device. This will work great in case your device's battery go dead in time or it is switched off. Just go online and sign in to you Lookout app. A map will show you the location of your device. You can also select "scream" option if you guess you are at a short distance from your device. The device will give a loud noise and grab an attention. Google's Android Device Manager is again a strong app to find lost Android devices. The basic function of this app is similar to Lookout Security. There is also a similar app available from Samsung named "Find My Mobile". It includes functions such as "Allow remote factory reset". Go to App setting and select Android Device Manager. Its Locator button is active by default and you can select remote data wipe to ON. Login to ADM and you will be asked for permission to allow ADM to use location data. Just select Accept and click continue. A detailed map with last used activity will be shown. You can also call your device from you online ADM account and make the device loud for 5 mins., even if it is in silent or vibrate mode. ADM lacks a Lookout type feature that is remote locking, which would have been adequate to ensure the stranger does not access your valuable data. Similarly Android Lost works from website to track your device. 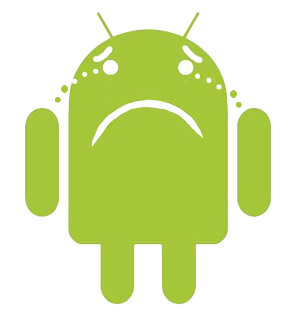 Just install AndroidLost to your device and keep it on by default. You can merely control your phone from the website. To ensure you have forgotten your phone in office or home, this app would probably serve you the best. Read Sent and Received SMS, Wipe device, Lock device, Erase SD card, Locate GPS, Forward Calls, Make it loud, Send SMS from a webpage, Remote Install. It is an award Winner for Utility & Public Safety App. This app has again excellent easy features to keep you informed about device's GPS coordinates. You can also remotely access your data and wipe it. Once you log in online to GadgetTrack you can track location, get map points, longitude and latitude of a device, IP addresses. This app is admired by many top online reviewers. This is a solid app available and becoming much famous. It has quite decent features as others but its GPS coordinate tracking is flawless. You can easily go near to your device and make your device loud. Other features such as locking device, texting attention word, stealth mode, GPS flare are worth.